Temsa has been chosen as Rugby Super League team Leeds Rhinos’ new official transport partner, after signing a deal worth almost £250,000. Temsa has seen substantial growth in the UK with an additional partnership with Arriva Bus and Coach. The sponsorship will include the first team playing shorts and training kit with other announcements to be made throughout the season. 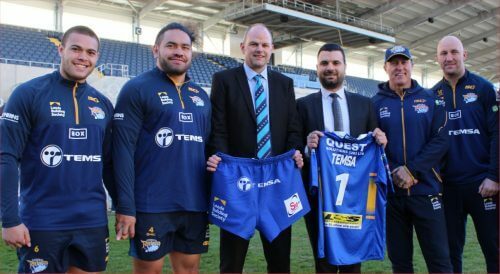 Aykan Cavlak, Temsa UK Sales Manager, said: “Leeds Rhinos are the most successful club in the Super League era of the sport but it was also important to us that they share our values of integrity and respecting tradition while also having a modern outlook and approach. Andrew Cullen, Managing Director of Arriva Bus and Coach, added: “Coaches have been part of the fabric of rugby league for generations, taking supporters to memorable away trips and Wembley cup finals as well as providing transport for players.